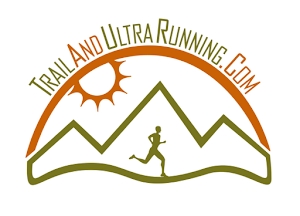 The targeted audience for this post is anyone seeking to complete their first ultramarathon. Or, those that have run a few but realize they are missing some foundational information for which to achieve more success in their races. Briefly, to qualify myself, I will share that I've been running ultras for 6 years now. I have never had a DNF, but abandoned one race last year when I became lost. My organized race history shows 21 ultras, but I know there are several not listed. Prior to ultramarathon, I competed in triathlon and road racing. I have also completed two Ironman triathlons. In most races, I have most often been a top 10 contender...but I've also been 3rd from last... and 1st place overall on a different day. I have had just about every over-training injury, including plantar fasciitis, ITB, dropped metatarsals, and runner's knee. I suffered a heat stroke once in a job-related training exercise and received 12 bags of IV fluid in the hospital before I was released. I have been a crew captain at Badwater twice, helping athletes complete the 135 miles through Death Valley. I have run, paced, crewed, and volunteered at various endurance races. I have also been a for-profit coach and sponsored athlete. I've coached about 100 athletes all over the country, by phone, email, and in person. I am intrinsically rewarded for helping others when I see them succeed and their dreams fulfilled. Outside of running, I have been a police officer, SWAT sniper, and US Marine. I have always been interested in challenges but none are more powerful than the world of ultra-endurance. It's vital that you select an event that motivates you. Selecting the right event is crucial because if you pick a race that is too easy, you will not have any drive to work toward that accomplishment. On the same token, if you set your goals too high, you will come to realize you've taken on too much and potentially injure yourself or, of course, fail to succeed. The introduction distance to ultramarathon is the "50k". They are organized on trail, road, or track. The distance usually falls between 31-35 miles in length. Not all 50ks are equal...and the difference is the things you might expect, like elevation gain, terrain, or other environmental factors. While you should be, at least, comfortable with the marathon distance by the time you run a 50k, you can also blow that whole marathon thing off and run a 50k without ever finishing a marathon. The difference between the races is, most often, the trails and aid stations. Expecting to be on the course much longer...you will need to use the aid stations to refuel throughout the day. Among those running their first ultra, I most often see those that come from a marathon background.. sometimes triathlon, hiking, or cycling. Regardless of your background, you can succeed just fine in ultra, as long as you retrain your body to deal with long, slow, miles on the trails. Secondly, you will need to learn how to fuel with endurance nutrition. In my humble opinion, the #1 factor determining success in anybody's race is hydration. That is, your ability to manage hydration through balance of electrolytes. Hot races present more difficult conditions and, too often, people assume they are ill prepared physically, when they are simply dehydrated. If you are several hours into a race and your heart rate is sky high and your legs hurt like hell, it's because you are dehydrated...and if you tackle that problem with increased electrolyte fluid and perhaps a salt-pill (s-caps), you will probably feel awesome again in about 20-30 minutes. The idea of staying hydrated is simple. The task of staying hydrated is difficult. The harder you run or the more challenging the environment, the more tough it will be to stay hydrated. Many things will play unfair poker with your focus on hydration...heat, altitude, conditioning, sleep, etc..
GU Brew is a powdered electrolyte...it's mild in taste. The blueberry flavor has more sodium and I tolerate the taste for much of the day. GU makes an individual package for single bottles...and you can carry that powder in your pack or pocket. Then, you add that packet to a fresh bottle of water. On a hot day, you may go through 1 bottle per hour...or, if its 100 degrees, you're possibly doing 2 bottles (40oz+) per hour. In hot races, I add to the GU brew 1 S-Cap tablet. The salt tablet dissolves in the bottle and I consume it over the hour. If I find I'm getting behind, I take an extra tablet with a gulp of water. By taking the S-Caps throughout the day, every hour on the hour, I maintain the fluid. **Note: Don't take more than 1 or 2 S-Caps at one time or you will get very nauseated. Sprinkle these tablets into your hydration plan throughout the day. ﻿ Spiz is my secret weapon. (But I'm sharing it with my blog-reading friends). Spiz was developed for ultra-cyclists and there have been guys that have ridden across the country consuming one thing...Spiz. It's potent, complete, and badass. If you check out the site or buy any, tell them Jerry sent you. They'll know what you mean. Spiz is the only non-vegan thing I eat. It has some high-quality whey protein...but it never screws with my physiology. It's also an incredible recovery drink. I use a bottle of cold Spiz at aid stations (3 scoops). The Spiz is basically liquid food...and it will fix your depleted body in minutes. I poured it down the throats of my athletes at Badwater and watched them go from vomiting and falling down... to running sub 9 min miles. I'm not exaggerating...and I'm not paid by Spiz. Lastly, Pedialyte is the weapon of choice when you are just downright dehydrated. You can get a Walmart generic brand in the baby section for about $4/bottle. I pour grape Pedialyte over ice and drink it straight...run with it for hours. Cramping? Hell no. This is the same stuff you give kids that have the flu...it's processed properly and will hydrate you with the balance of electrolytes you need. Thank Dean Karnazes for throwing this one out to us in Ultramarathon Man. It's this simple... you need to run often, and a lot. Unlike 10k or other short distance races...you need to get familiar again with "jogging". You have to learn to jog all day long...(and all night long in some cases). Running a 100 miles? If you're looking at running 100 miles...you need to spend time hiking. Yes, you will be hiking miles in the 100 mile race. If you are not going to hike a single mile, then you aren't reading this. Run long, run slow...learn to run without effort. Tune in to your heart rate, and pick an effort that seems like you can do it forever. Once you find that zone...train it for hours and days and months. Now do it for years. Organize your training over several months...a safe bet for an experienced marathoner, is 4-6 months of specific training for trail ultra. Trails will slow you down and raise your heart rate...but this will become normal...and, in the experience of many trail runners....you will NEVER go back to road running! The coolest thing about ultramarathon is the people. They are totally open minded and you don't hear them say, "I can't." The very idea of taking a dream of running these crazy distances...and training for months, through varied weather, and inevitably challenging life obstacles, filters out just about everyone. You are awesome just for showing up! I believe that ultra is a mindset...that you already possess. The fact you have read this and are preparing for your event even when not running, shows your dedication. Having said that, you must now train physically... and with a physically trained body and mindset for "I can", nothing can stop you. Lastly, your mindset will become important again during your race. You must use your good sense and mindset to gauge your pace...and to push through challenging miles. You must also focus under difficult circumstances to decide what to eat or drink so you can cross that finish line. Here's a secret...anyone can do this stuff. It's not their lack of ability, it's their lack of passion, discipline, and dedication that separates so many others from you my friend. You were born to do this. Great post! Encouraging, inspiring. I'm looking at 50k races for this year not sure what yet. Wow. I'm not anywhere close to this level yet - my longest run was 13. But this post has me thinking about one day. Alright Jerry, I have a technical question. I've started drinking spiz recently and I'm wondering the best way to store it on the runs so that I can easily pour it into my bottle before a refill. Have any secrets? Hi Ben, I have found the best method to be a ziploc baggie in 2 scoop size. I place the bag in the bottle and open it (or rip it open). Then I add the cold water... and/or ice. If you come up with something awesome, let me know!